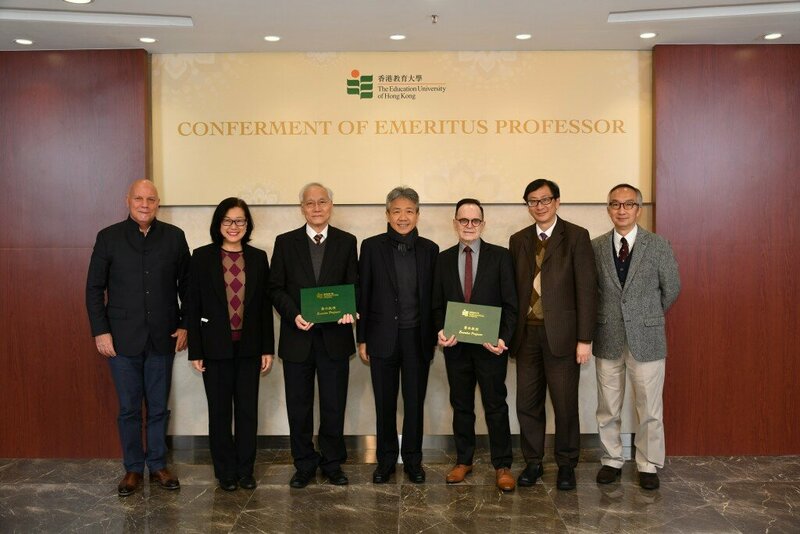 The Education University of Hong Kong (EdUHK) has bestowed the prestigious title of Emeritus Professor (Education) on two distinguished senior academics in recognition of their sustained, significant and commendable contributions to the University. 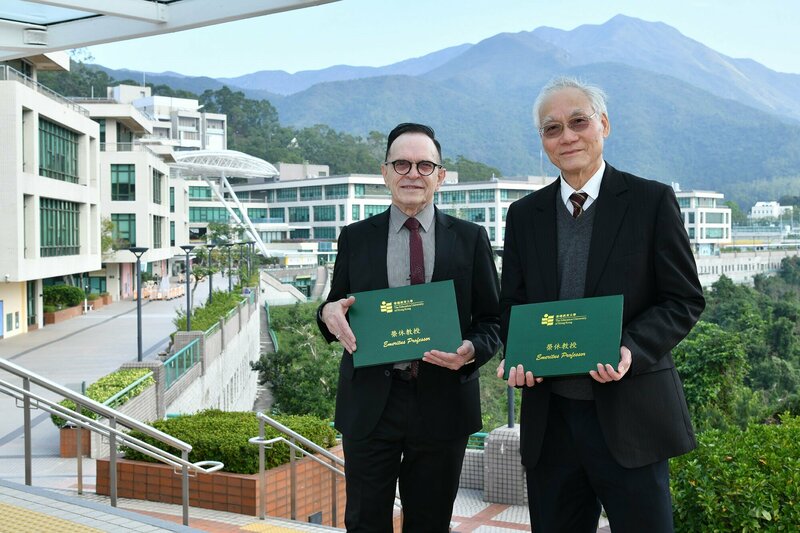 The title is awarded to Professor Cheng Yin-cheong, Advisor (Academic Development) of the Department of Education Policy and Leadership, and Senior Research Fellow at The Joseph Lau Luen Hung Charitable Trust Asia Pacific Centre for Leadership and Change; and Professor Kerry Kennedy, Advisor (Academic Development) of the Department of Curriculum and Instruction, and Senior Research Fellow at the Centre for Governance and Citizenship. 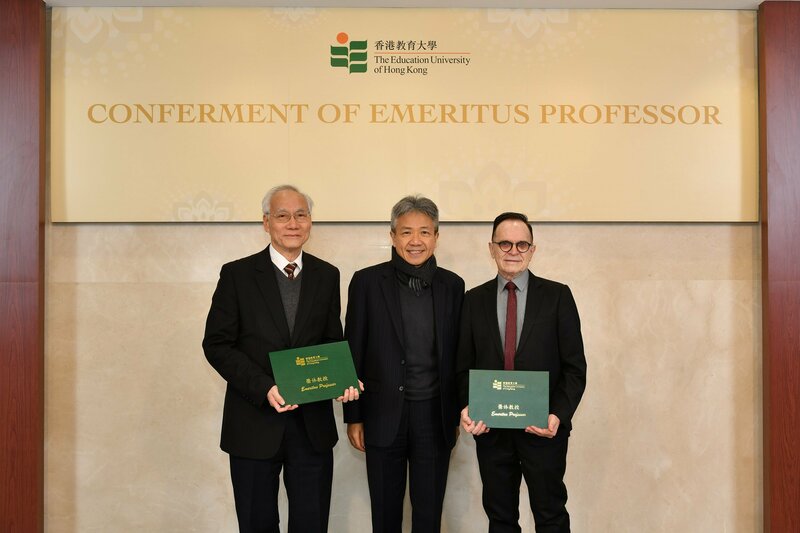 EdUHK President Professor Stephen Cheung Yan-leung presented the certificates to Professors Cheng and Kennedy at a ceremony on 13 December 2018.